As member of the Carnosaur family, their cerebrum may be smaller than a human’s, with a body blessed with arms which might be puny, but a jaw that bears a bite that can be as strong as 12.800 pounds compensates such an anatomical loss just about fair. Some say their hatchlings had feathers - some argue they had pixels. 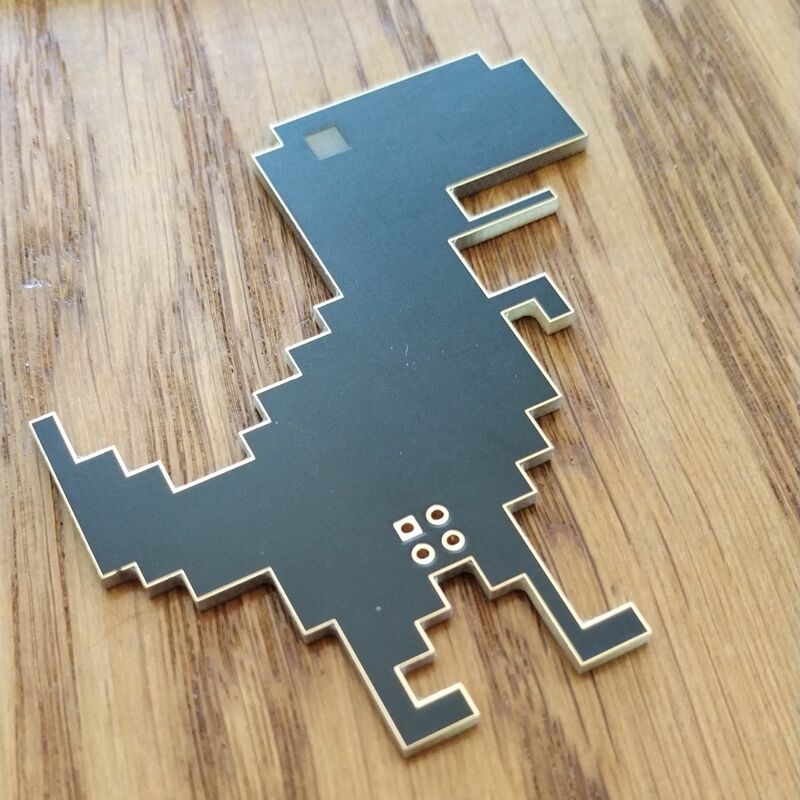 Some indeed had pixels - and that species is called the Tyrannopixelus Kex. Although their brain masses are larger than ours, and the cerebrum probably still not hugely bigger, their way of thinking and computing was different than the others. Their cerebral structure was calibrated for “Alternating Thinking”. May contain traces of amber and other organic tissues. 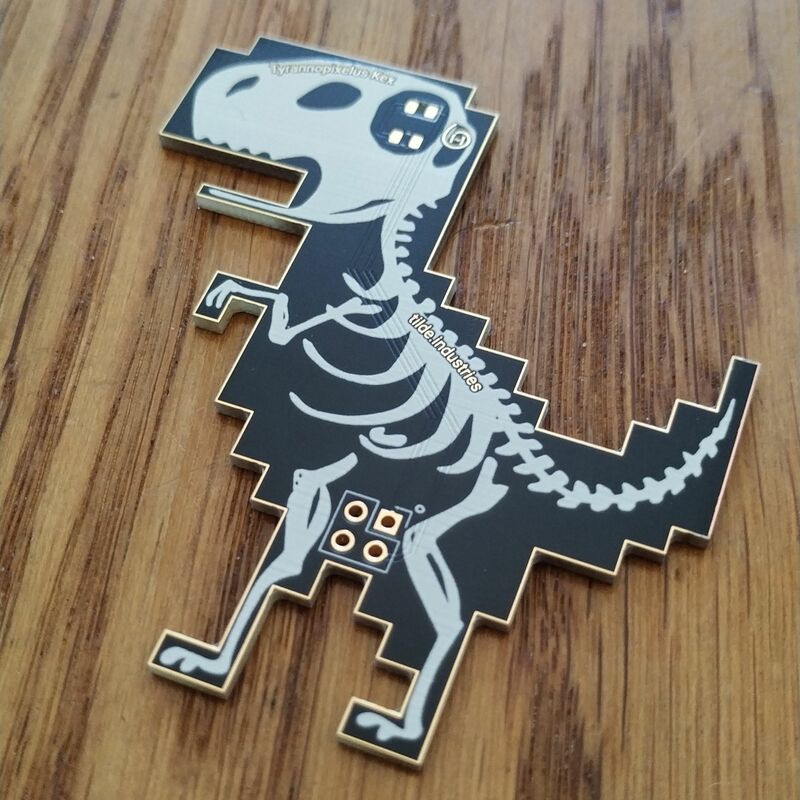 Our Badge-Addon represents a fine specimen of this dinosaur breed, with eyes that come alive once they are connected to a mysterious pack of lithium-ion through your badges.> Worry not, only the skull is armed with a few blunt teeth, but the only way it can hurt you, is by getting your hand stuck between jaw and teeth. The badge has a single LED and one resistor, that can be adjusted to any simple preferences. 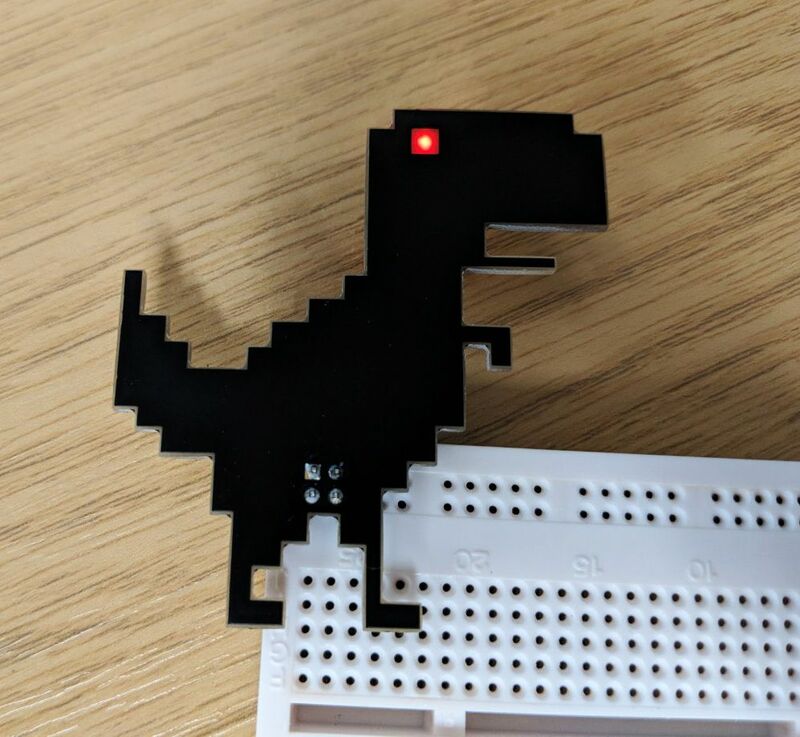 Just connect it to your badge, and the Tyrannopixelus Kex is ready to observe a world he remembers differently from his timeline. Assuming time is linear.